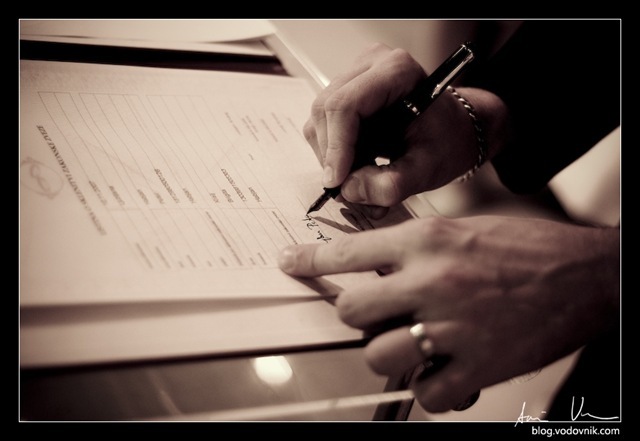 A signature can mean a lot to people... it can be something as simple as an autograph from a favorite band... it can be a signature from a client that a project is finished... it can be a signature on the marriage certificate list... But a lot of times, a signature brings happiness ;-). As was the case with the signature that encouraged this post -- a project was finished, or rather, the customer signed the acceptance list. So congrats to those from my team involved in the project (I can't go into specifics but hey, it's the thought that counts). The picture is from a colleague's son's wedding.